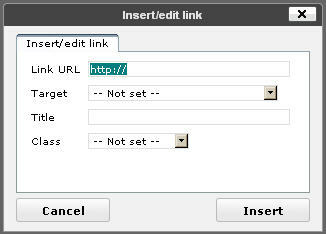 There are two ways to create a link in your WordPress post. One way takes folks away from your site and they may never return. The other, more advanced way, ensures your site remains visible to your reader. And, it also improves your SEO (Search Engine Optimization). Both the post and page editors allow you to enter content by using either the Visual mode or HTML mode. Using the HTML view mode only allows you to create a simple link. This is also the case when you use Quick Edit or make updates via your phone. Using the Visual view mode allows you to select from advanced settings, and that’s what we’ll cover here. Once you highlight a word or phrase in your post and click the link icon, the window shown to the right appears. The first line is for the URL of the link. This is the only information you can enter while in the HTML viewing mode. The Target option is the key to keeping your site available to your readers when they click on the link. When you click the drop-down arrow you will be given two choices of what happens when the viewer clicks the link (shown left). The first option is for the link to open in the same window. This is the default when no target is set. What this means is that when a viewer clicks on the link, the page they are currently viewing will be replaced by the linked page. That may be fine if you are redirecting viewers to another page on your site. But, if the link goes to a related site, you’ll want to choose the option for opening the link in a new window. Most browsers now support multiple windows open. Using this option means that your site will remain available to the viewer without them having to click their browser’s Back button to see it again. You can also give your link a Title, which helps with SEO, or Search Engine Optimization. The Class option allows you to further format the link by choosing where it will be aligned on the page, adding a caption, link to a remote Gallery of pictures, or embed rich text media such as a video. The last two options are available on WordPress versions 2.9 and above. Using these link tricks will result in keeping your viewers on your site, which will give you more opportunities to present them with more of your content and offerings. Leave a comment and then click the button below to share it with your friends.